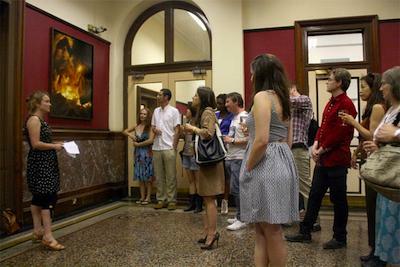 Curator Isabel de Vasconcellos selected four recent works to be exhibited in the Old Stratford Town Hall as part of GLOBAL FEAST during the Olympics 2012. "Global Feast is an unforgettable dining experience – a journey through the best of world food, enwrapped by its contours.The centrepiece of the event is Worldscape (atmos), a giant sculptural model of the world 15-metres long, 6 metres wide and over 2 metres tall – an installation doubling as both table and seating.Each of 20 successive evenings during the London Olympics, up to 80 guests gather at the Old Town Hall in Stratford – the closest venue to the Olympic Park - to travel through the cultures and cuisines of the entire world. 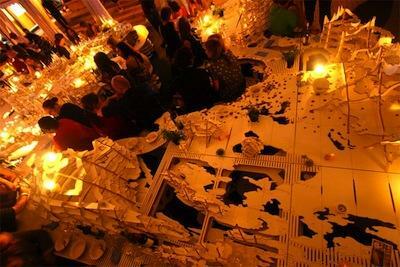 Each guest dines in a unique part of the sculptural space - sitting on its oceans, dining off its coastlines, illuminated by its cities, enshadowed by its mountains."